Triumph tulips were created by cross-breeding single-flowered early tulips and single-flowered late tulips and form the largest and most important tulip group. Triumph tulips are available in many different colors and color combinations. This group of tulips is very popular because of their sturdy stems and beautiful flower shape which makes them very suitable as cut flowers with a long vase life. 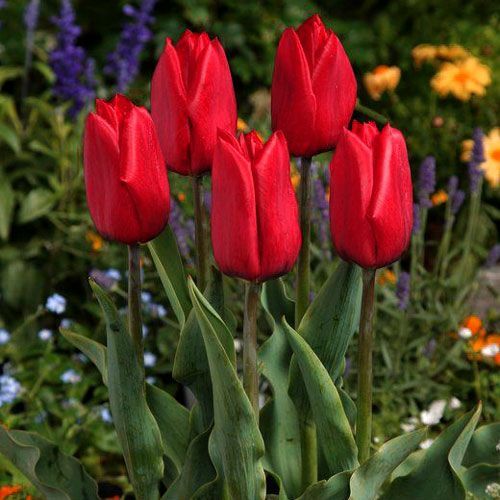 Like all tulip varieties, Triumph tulips can also be used in the garden, in planters and pots. The plant prefers a sunny or slightly shady spot.